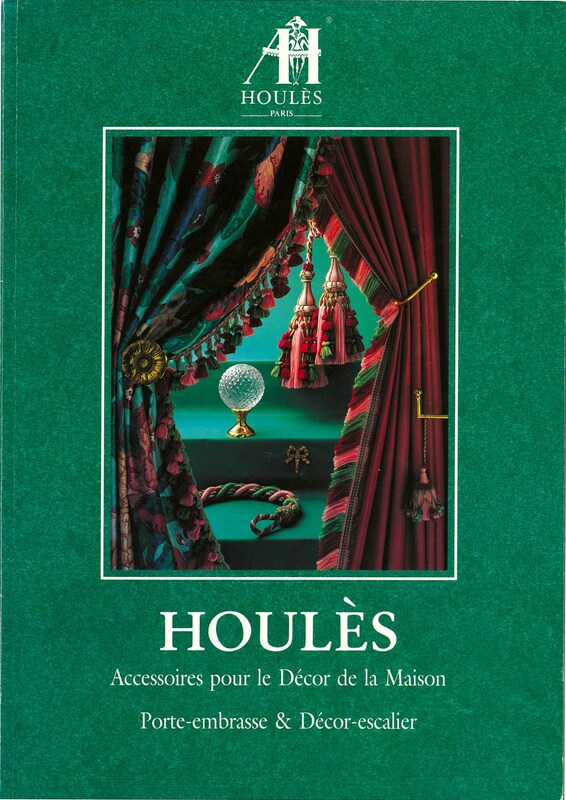 Houlés : accessoires pour le décor de la maison : porte-embrasse & décor-escalier / Houlés Paris. Drapery hardware including : tieback hooks; metal tiebacks; drapery hooks; staircase decor; barrier ropes; suspension systems (art, frames) picture hooks; drills, anchors; upholstery nails; stair rods; barrier rope. 48 pages : Colour illustrations ; 30 cm. Custom draperies in interior design / Mary Neal. Sewing for the home decorator / illustratrations and text by Ruth Wyeth Spears. Curtains & drapes: history, design, inspiration / Jenny Gibbs. A record of work : being illustrations of printing, stencilling and painting, stained glass, cabinet-work and marquety, embroidery, woven fabrics and other decorative works / designs & executed by John Aldam Heaton, with notes by the designer. Art deco furniture : the French designers / Alastair Duncan.